First Week, First Impressions | Jordan Ink. Yet after so much flatness of Central Europe and squashed-like-sardines density of Hong Kong, the dominant view is an open, unspoiled landscape of red-sandstone mesas and breathtaking volcanic-rock formations. Blur your vision, and it’s not difficult to imagine the dawn of life and civilization. 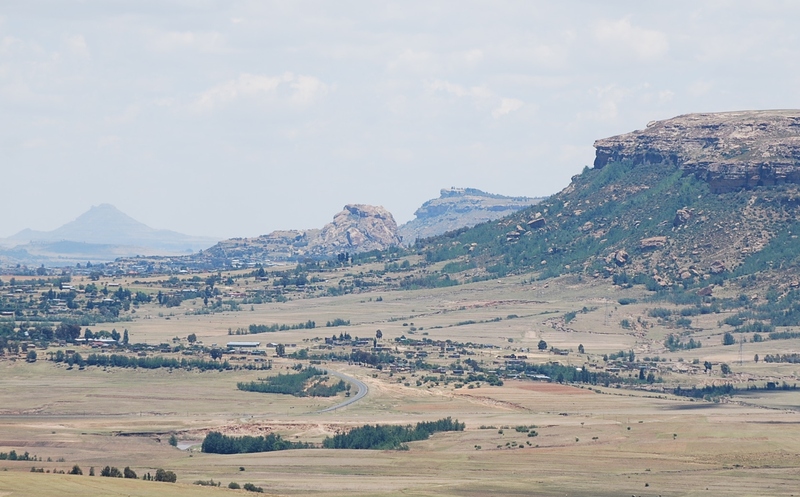 A stone’s throw from Maseru, the capital, are 200-million-year-old dinosaur footprints. Elsewhere is evidence of Homo sapiens traced back 100,000 years, and Bushman “rock art” thousands of years old. 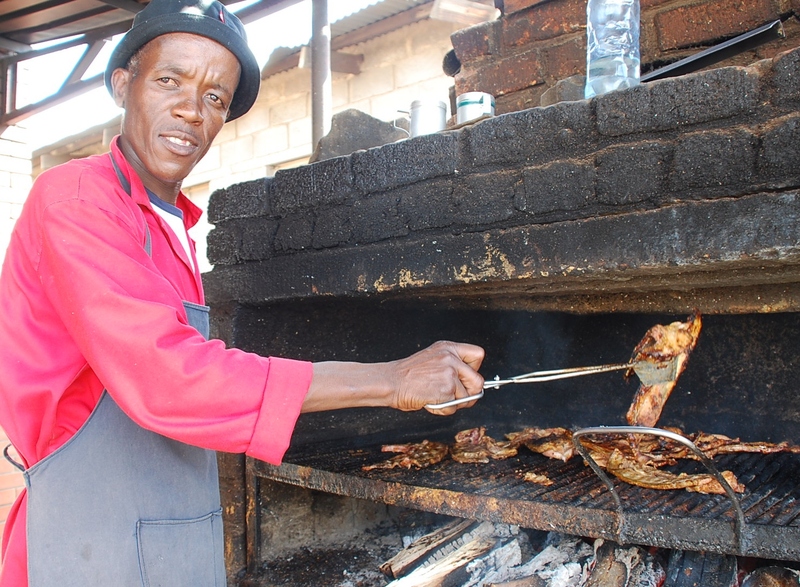 Take any road out of town, you’ll still find cow-dung-packed huts, known as rondavels. (Though, corrugated-metal shacks and cinderblock homes are more common.) In predominantly rural Lesotho, we’ll also have to beware of roaming cattle, sheep and goats, occasionally meandering across country roads. Lesotho, like Swaziland, is completely surrounded by South Africa, so we get the two-for-one bonus of tasting two countries at once – including one of the continent’s heavyweights. With the South African border five minutes away, I’ve already crossed it three times. Surreal, indeed. I’ve been dropped into a real-life National Geographic video. And though tiny Maseru boasts just two bloody cafés — neither of which offers Internet, a serious crimp in my lifestyle — there’s plenty to inspire my chronicling of this African adventure. That’s two more cafes than I thought! Maybe you should start your own…. I love the visuals I got from reading your blog. Now I can actually start to picture where you are. I will stay tuned! More! Write about the Kids and Agi, as well. Curious about settling down and getting familiar to the people around. Keep posting!